Dear Jaxon, Writing to say thankyou for your postcard. Sorry it’s taken a while to reply, but I’ve been busy in the garden. It was really nice of you to notice the garden as it does take a lot of hard work to keep it looking like this. 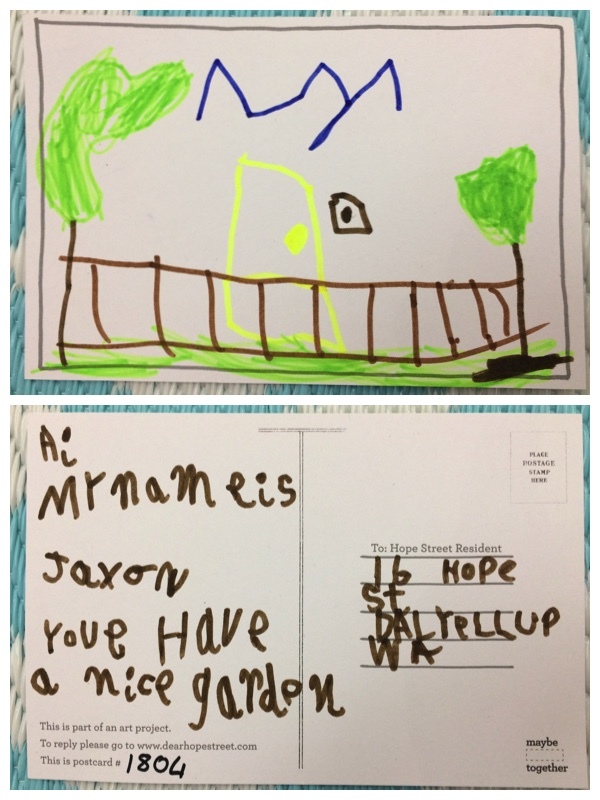 I really liked the picture you drew of the garden, the front fence and the house. Kind Regards, Mr & Mrs Lamberti. Dear Jaxon, Thankyou for your kind words. I loved the picture you drew of the front of my place. It takes a lot of work to keep the garden looking like this. It was nice that you noticed it.